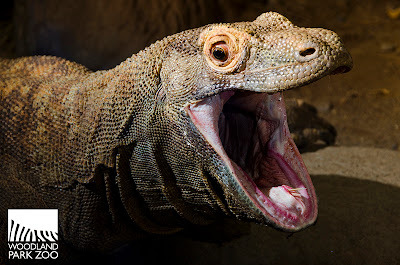 2012 is the Year of the Dragon, and Tuesday was the day of the Komodo dragon. 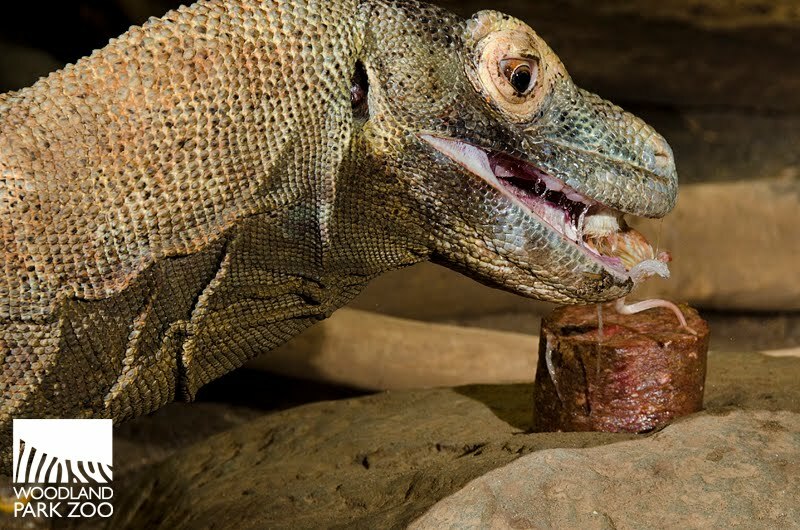 That’s because the zoo’s male Komodo dragon, Loki, turned 18 on Tuesday and the keepers celebrated dragon-style: with “cake” made out of ground meat topped with a mouse. 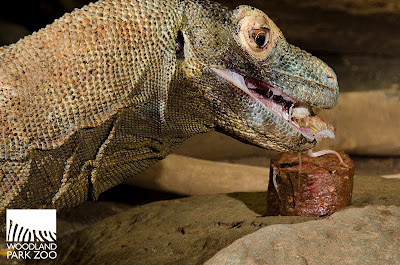 Loki gulped down his treat with lightning speed as visitors gathered at the exhibit to sing “Happy Birthday” to him. The song lasted longer than the cake! 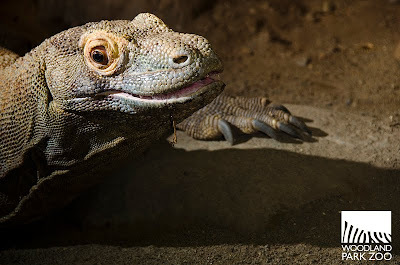 While we often mark our 18th birthday as the milestone between childhood and adulthood, for Komodo dragons, turning 18 means you’re well past middle aged. It’s not known just how long the average Komodo dragon life span is in the wild, but in captivity, Komodo dragons have been known to live up to 25 years. 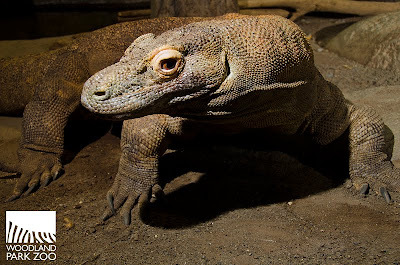 By weight, Komodos are the world’s largest lizard. They don’t get to be that size just by snacking on birthday cake. In the wild, Komodos are known for their hunting prowess, taking down prey as big as Sunda deer, pigs, water buffalos and wild horses, and rounding out their diet with birds, snakes, fish, crabs, snails and eggs. Here at the zoo, the Komodos consume mostly rodents, though not always as artfully arranged as Tuesday’s treat! If you’d like to wish Loki a very happy 18th, you can find him and the zoo’s other Komodo dragon, Selat, in the Adaptations building, next door to the meerkats. 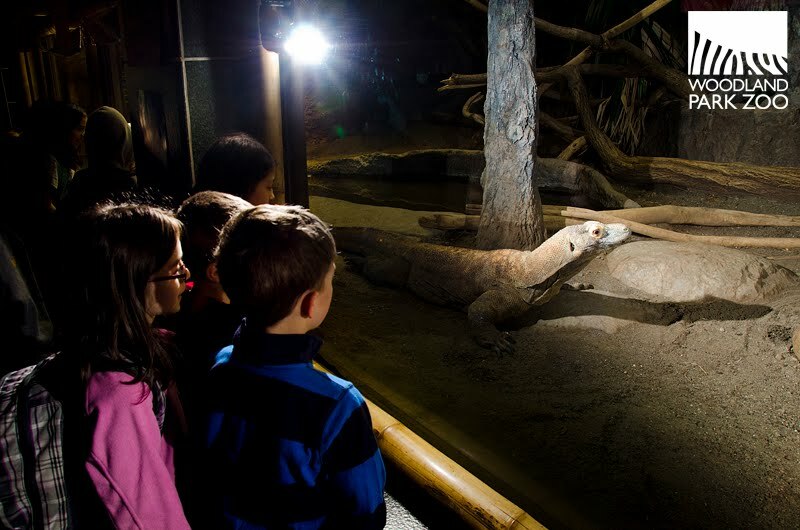 You can also support Komodo dragons and the zoo’s animal care, conservation and education mission by adopting a Komodo today through our ZooParent program. Thanks!